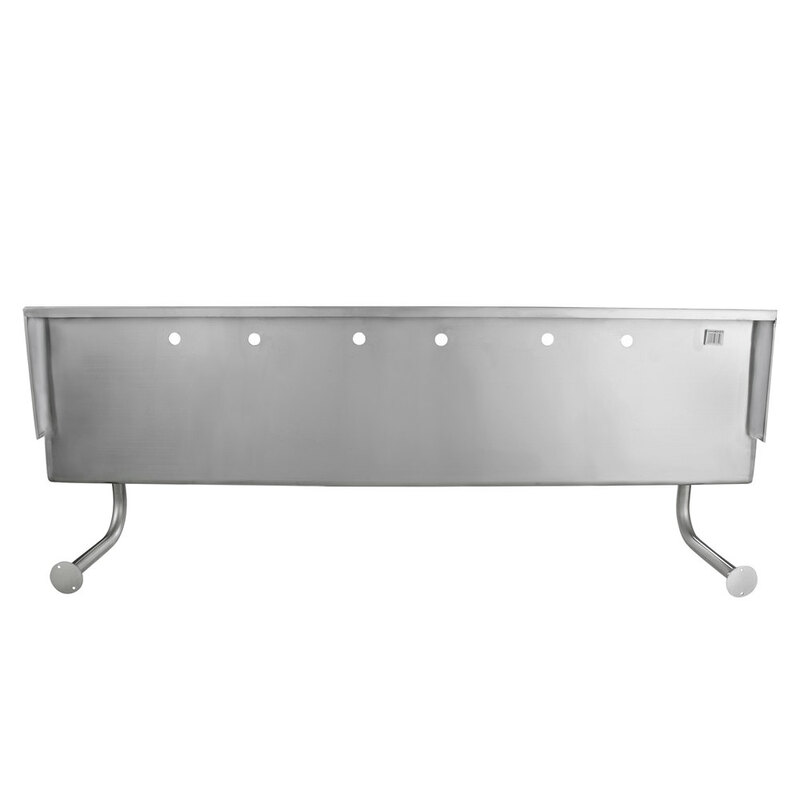 Maintain a sanitary environment in your auto garage, distribution center, or manufacturing facility by giving your employees a convenient way to quickly wash their hands with this Regency multi-station hand sink for 3 faucets! 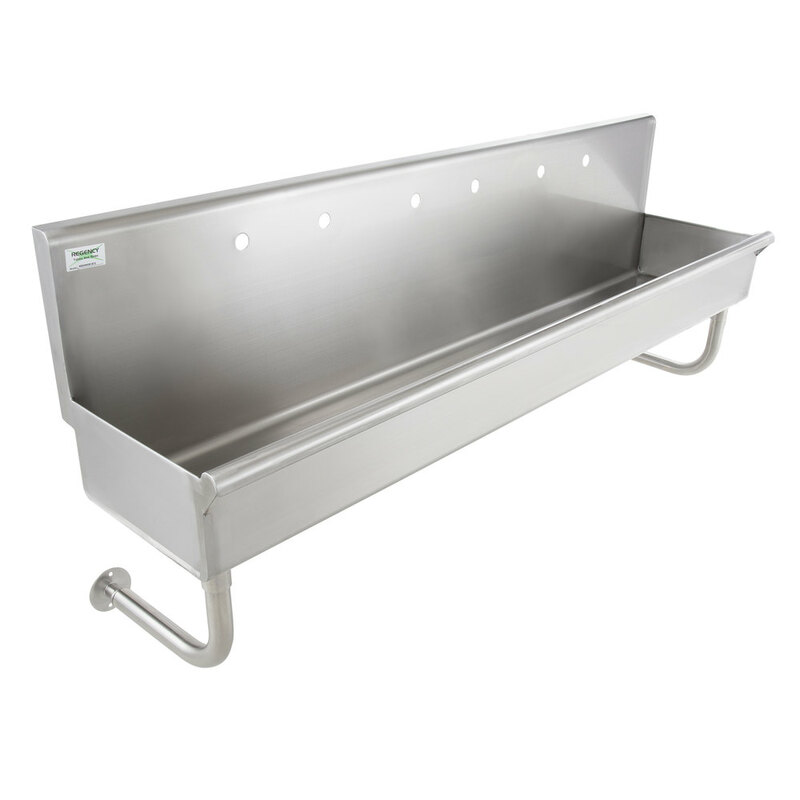 Made of rugged 16 gauge type 304 stainless steel, this sink is not only rust- and corrosion-resistant, it's extremely durable and built for everyday commercial use. Perfect for industrial applications, the advantage of a multi-station sink is that employees don't have to wait their turn to clean up. Multiple faucets and an extra wide sink bowl mean that more than one person can use the sink at a time, which in turn guarantees your employees will be more likely to wash their hands when they don't have to wait in line. This helps to maintain cleanliness in your business and prevent the spread of germs, keeping your employees healthy so they take less sick time and productivity is improved. This wall mounted sink station includes 3 sets of holes punched on 8" centers, with each center faucet hole measuring 1 1/4" in diameter, allowing you to add three faucets of your choosing (sold separately). Installing Regency wall mounted gooseneck faucets would be the perfect addition to this sink as the gooseneck shape provides the right amount of clearance for handwashing. 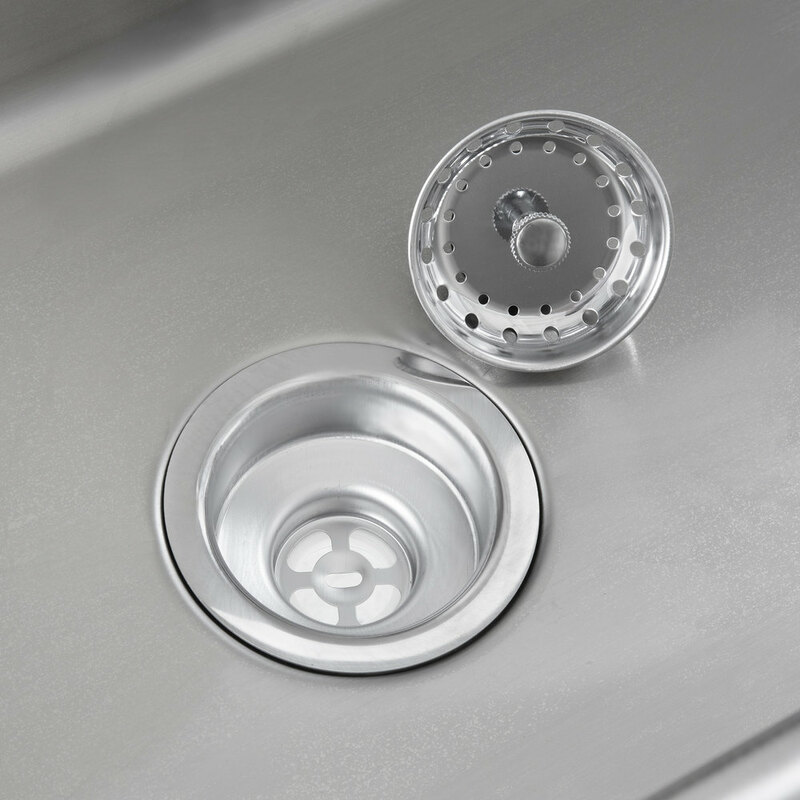 Likewise, the spacious 8" deep sink bowl is designed to accommodate multiple users for handwashing applications. 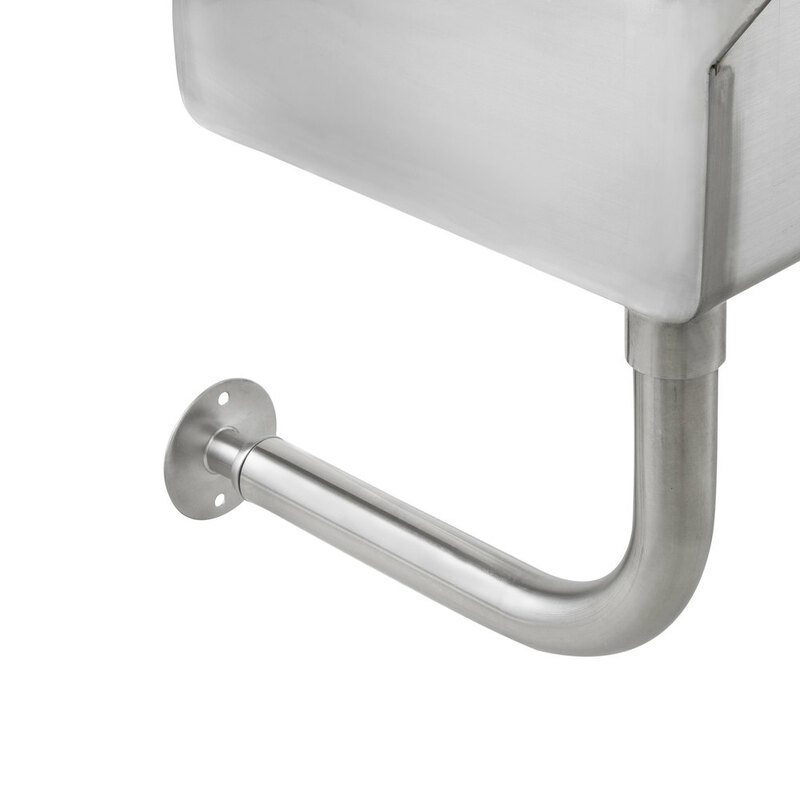 Designed for wall mounting, this sink includes (2) 1 5/8" tubular wall brackets and 2 stainless steel Z brackets. Installation is simple and the wall brackets ensure that the sink is stable and fully supported while allowing full clearance underneath. A 10" high back splash protects your walls from splashing and water damage, and a 3 1/2" drain basket keeps your drains clog-free. 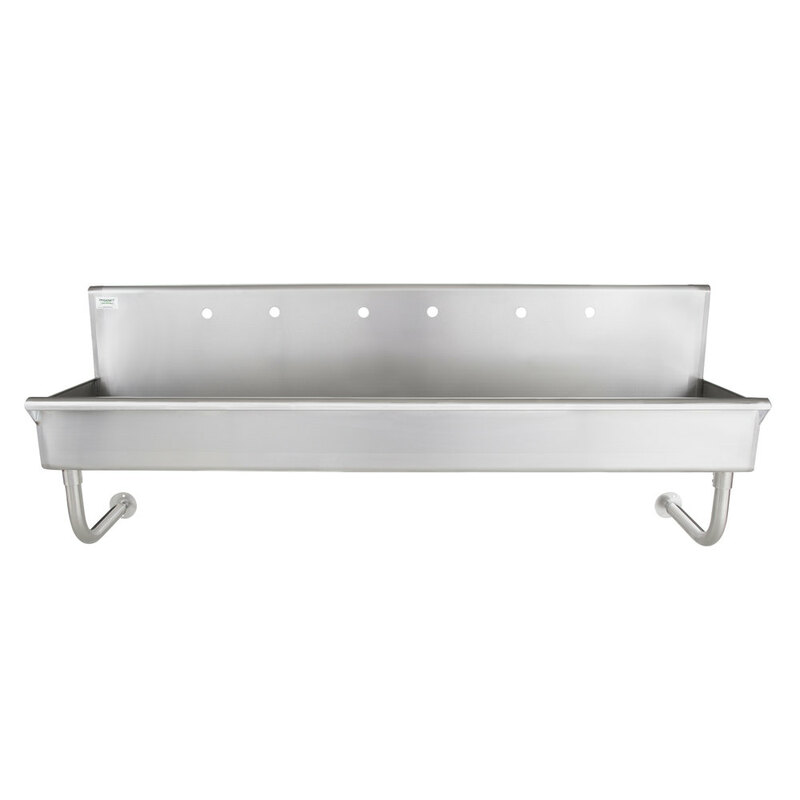 For safety, the outer edge of the sink bowl is curled under to eliminate any sharp edges. Front to Back: 17 1/2"